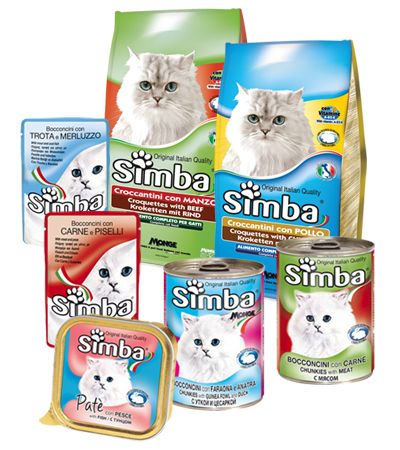 Simba: Monge’s quality guarantee for your cat’s daily nutrition. Simba range features both dry and wet food. The small kibble is a complete feed for adult cats with added vitamins to boost your pet’s wellbeing. The small bites are oven-baked and French-seasoned while the paté has added mineral salts and vitamins, and flavoured with natural flavourings. Simba products are available in all the best specialist shops.